Add small amount of absinthe to a coupe glass and roll to cover all surfaces of the outside of the glass. Discard excess. 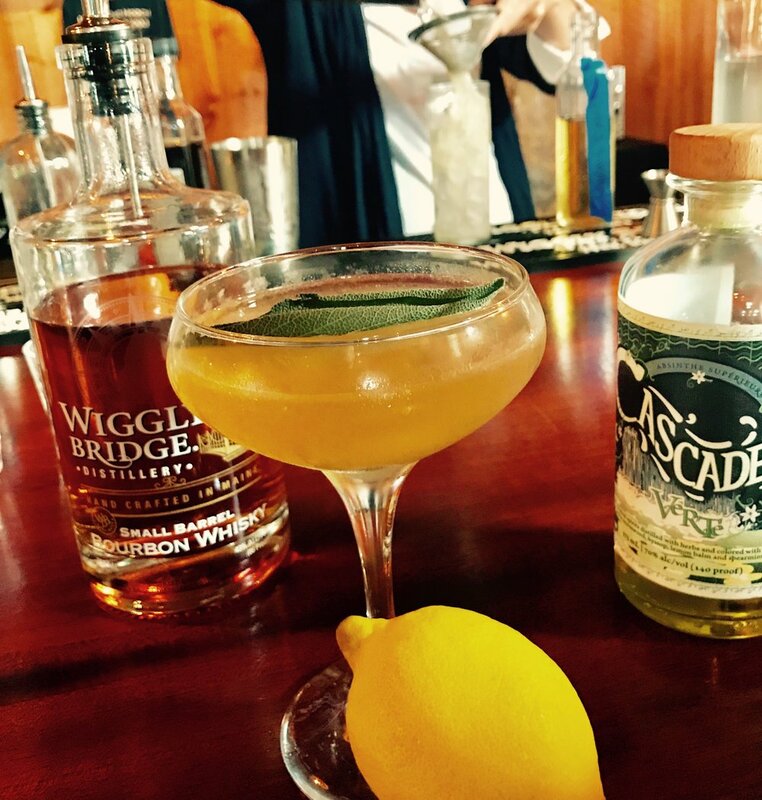 Combine Wiggly Bridge Bourbon, lemon juice, and simple syrup in tumbler filled 3/4 of the way with ice. Shake well for 30 seconds. Double strain, using hawthorne and fine tea strainers, into rinsed coupe glass. Clap sage leaf between hands to activate oils. Lightly dip sage into local maple syrup and place on top of cocktail as garnish.